Despite plans for a major expansion of the high profile pre-commercial NFC trial in Nice and Orange’s ambitions to sell 500,000 NFC phones this year, a survey of French consumer attitudes has found that the majority are not in favour of using a phone to make payments. A new survey of French consumer attitudes to electronic payments has found that the majority are not currently interested in mobile payments services, despite recent government funding for the expansion of the Nice Cityzi pilot to eight more cities and plans by Orange to sell 500,000 NFC phones in France this year. Only 8% of consumers were strongly in favour of the idea. A further 33% were quite in favour of the idea. 19% were strongly opposed to the idea of making payments with a mobile phone. A further 40% were quite opposed to the idea. Other emerging payments technologies also proved to be less than a hit with French consumers. The percentage of respondents who said they would take up the option of a contactless card was only 41%, for instance, while just 19% said they would be interested in a mobile remittance service that would let them use their handset to send funds to another person’s mobile phone. The full survey findings include a breakdown of how different demographic groups responded to each of the questions. 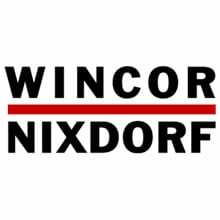 Readers can download a PDF of the full survey, in French, from Wincor Nixdorf’s website. Sure but if you add 8%+33% it means that 41% are ok or rather ok.